CANNON BALL, North Dakota -- On Wednesday, November 2, law enforcement desecrated the burial grounds of Alma Parkin and Matilda Galpin, the indigenous women who once owned the Cannonball Ranch. As water protectors held a water ceremony, snipers shot at them from armored vehicles parked around the tree marking the graves. Water protectors building a makeshift bridge across the Cannonball River were met by riot police firing less-than-lethal munitions at point blank range and indiscriminately blasting OC Spray on peaceful unarmed people. The bridge was torn down per theorders received by Morton County from the U.S. Army Corps of Engineers. 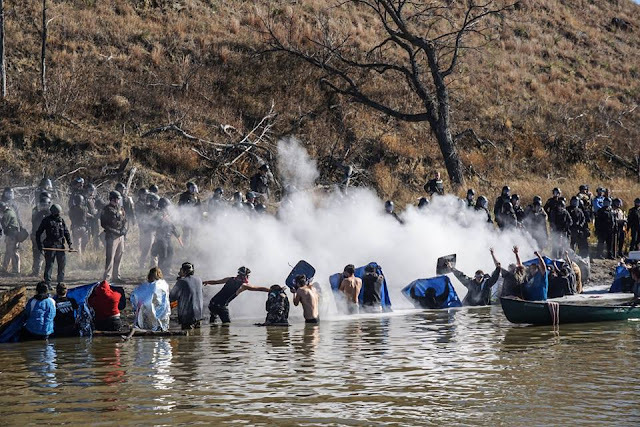 Morton County police then unleashed pepper spray and tear gas on water protectors standing in the river with their hands in the air. A teenage boy was shot in the back by a rubber bullet at point blank range, causing him to cough up blood. He was examined on site by Dr. Jesse Lopez who confirmed that the young man did not go to the hospital. In addition to the young man, two additional people were shot at and hit with rubber bullets. Over 100 were injured in total and the camp’s medical facilities were overwhelmed. According to reports, protectors began falling back from the shoreline in a “domino effect” and medics laid tarps across the grass to treat the wounded whose entire bodies were covered in pepper spray. Many people worked to haul protectors by boat back to the south side of theriver to receive treatment for mild hypothermia and chemical burns. Police continue to monitor throughout the nights. High powered flood lights have been posted all along the hills surrounding DAPL’s drill pad where they intend to drill under the Missouri River. The pad has been fortified with concrete walls and razor wire as the company works around the clock. When the water protectors gather the government & big oil snap into attack saying its a state of emergency, but when people's water is poisoned like in Flint MI, the government is slow to respond saying "gee, I don't know what we can do." Or Obama saying he wants it to "play out" at Standing Rock. Play out what? Water protectors getting beaten? The Water Protectors are creating new names. A new day. Owhatever, is making his name stink like crap. Ocoward.O$$. Ok Ostink, you are so smug letting it play out, participating in all those poor people being attacked by thugs. Now everyone can see truth from lies. The only state of emergency is your bank account. O SELLOUT, they don't want you anymore.LOL. The companies probably did an analysis of profit & loss and determined that humans are disposable. Maybe statistics found the odds are in the favor of the oil companies. It doesn't matter, truth will prevail, enlightenment over ignorance. Time for change. stop violence of the innocents. Who makes the pepper spray ? The canisters look huge, how far do they spray? Fox Labs International sells pepper spray. Dupont & Bayer technologies rubber bullets, non lethal bullets. Where are they buying pepper spray from ? Palco Marketing, Inc. Plymouth MN? Bayer pharmaceuticals merged with Monsanto (pesticides,gmo's), the people who produce products that may cause cancer sell drugs that may not cure cancer. WTH? 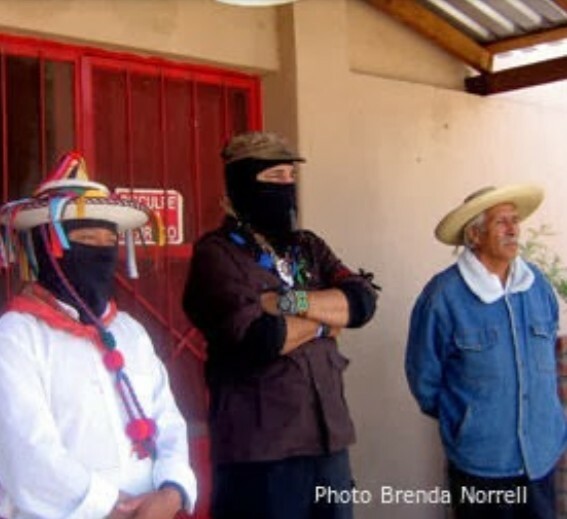 Anyhow, do those companies know their products are being used against unarmed youth, elders, & prayer walkers? IOWA BACKHOE LOCKDOWN -- Run to the River!